Hero has been taking the Xpulse places! 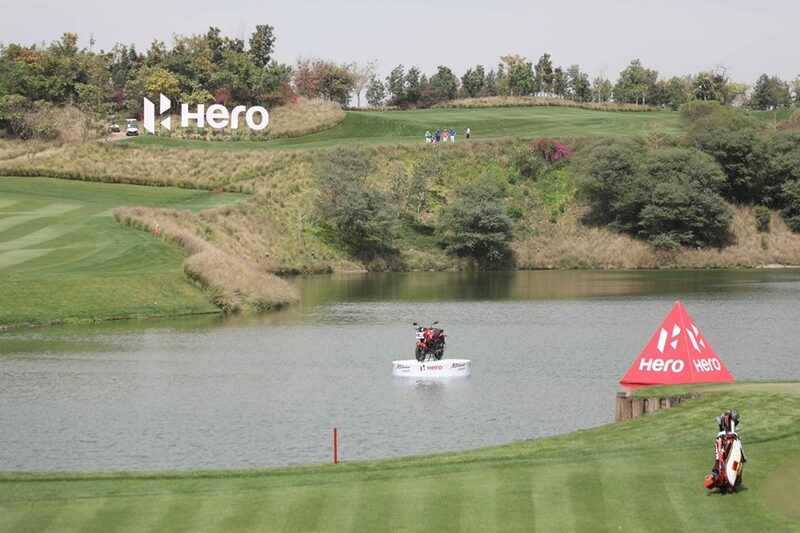 After showcasing it in Bahamas, the upcoming ADV was kept on display at the 2019 Hero Indian Open Golf tournament which commenced on 27th March in Delhi. It was the main display model on a makeshift podium surrounded by two Xtreme 200R’s on either side. In an innovative display, another Xtreme 200R was also on display in the midst of a pond at the Golf course. 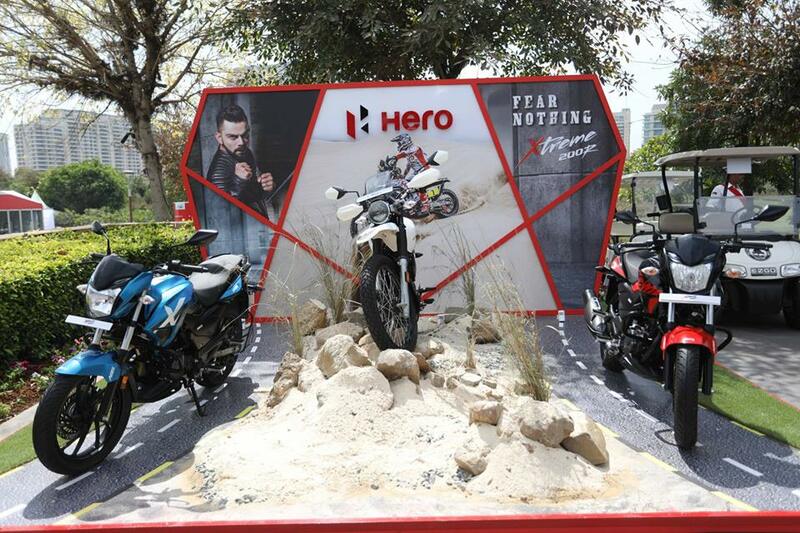 However, despite all the marketing efforts there is one important thing that Hero is absolutely silent on – when is the launch? It must be remembered that there have been not one but two officially announced timelines that the maker has have announced so far – first it was promised during the ‘festive season 2018‘ and next it was to come in ‘early 2019‘, however, they have missed both of them. It was the same case with the Xtreme 200R as well. But expectations from Xpulse are higher because it is a motorcycle in the fast growing affordable Adventure segment and one Hero official has promised that it will be launched at an ‘under 1 Lakh‘ price tag which should be easy considering that the base platform (Xtreme 200R) costs under 90K. To capitalise on the interest in the motorcycle, Hero has branched out another version called as Xpulse 200T on the same platform. 200T focuses on being a comfortable long distance tourer, however, at only 18 odd horses to play with, it will be a laggard on the highways. There is also a big possibility of Hero discontinuing the Achiever 150 and Karizma from the market due to the ABS mandate which kicked in from 1st of this month (April).